A high speed single car MVC in the 12000 block of Cottageville Highway (US Hwy 17-A) has sent one man to a Trauma Center. The southbound Honda left the roadway and struck a driveway culvert causing the small car to become airborne. The vehicle landed approximately thirty feet in the front yard of a business and flipped over several times before coming to rest on its wheels. Click here for more information. 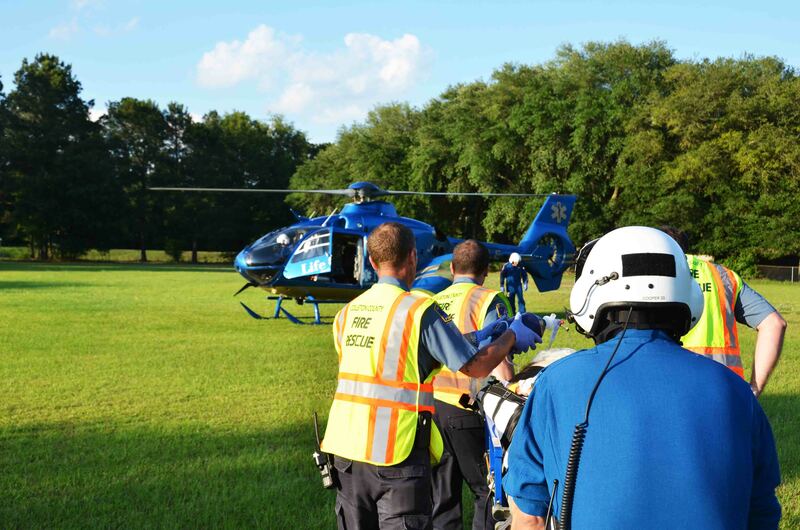 A 54 year old Walterboro woman suffered life threatening injuries when her Toyota 4Runner collided head-on with a northbound tractor trailer on Sniders Highway (SC Hwy 63) at Kizer Street. The accident occurred at 13:18, Wednesday afternoon 29-May. The small SUV received heavy damage to the exterior and interior. 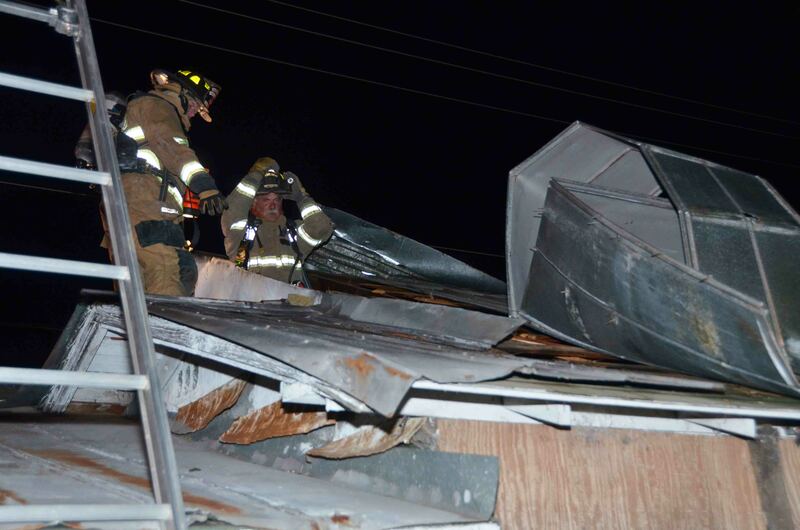 Units from Fire-Rescue and Walterboro Public Safety responded... click here for more info. The Emergency Services Softball Tournament sponsored a charity, softball tournament which was held to raise money for Firefighter-Paramedic Jordan Eaddy. 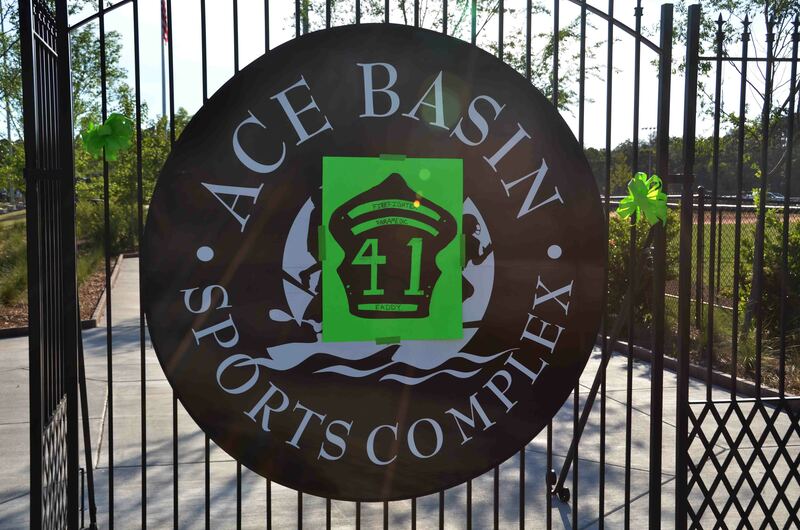 The 12-hour tournament, was held at the Colleton County Recreation Center, featuring two divisions; men's and co-ed. There were 16 men's teams and 4 co-ed teams. A silent auction and raffle were also held. Click here for additional information. 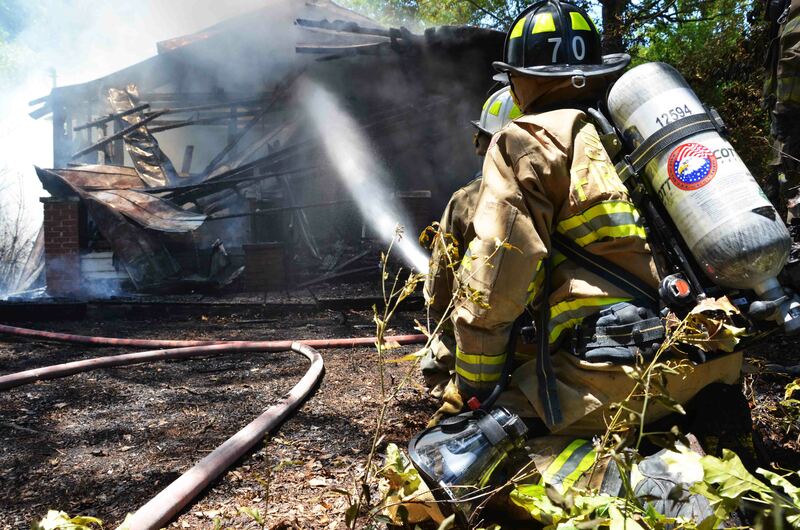 A rekindled debris fire is the suspected cause of a woods fire that destroyed a mobile home on Duck Hollow Road Saturday afternoon 25-May at 14:45. Fire-Rescue units were dispatched to 4888 Sniders Highway for the report of a building being on fire next to this address. Engine 1 arrived to discover the fire was actually behind this location on Duck Hollow Road... click here for additional information. A fire at the Plum Crazy Bar forced the evacuation of several hundred patrons Saturday morning 25-May at 01:27. An unknown subject set the wooden exterior sheeting of the building located at 3258 Jefferies Highway on fire. The bar was packed with people. Fire-Rescue units arrived minutes later to find light smoke coming from the eaves on two sections of the building. Click here for additional information. 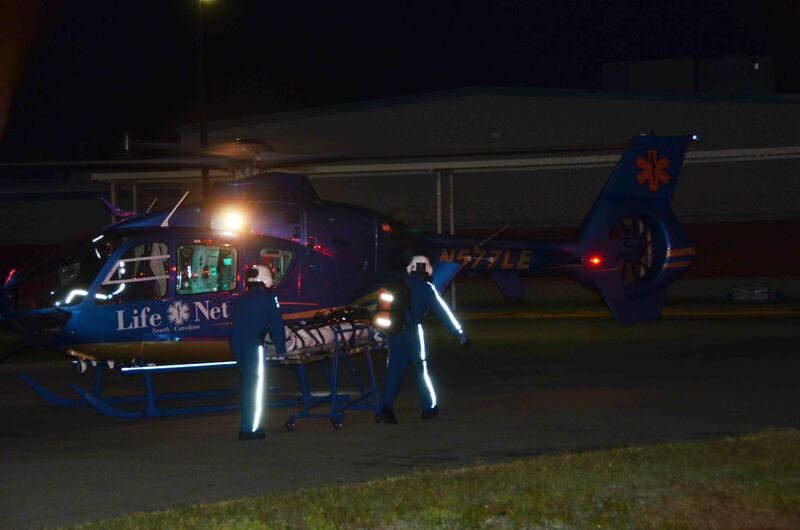 A 47 year old Colleton County man is in critical condition following a dirt bike accident. The accident occurred in the 25000 block of Augusta Highway at 18:11 Thursday afternoon 23-May. Witnesses advised the motorcycle struck a tree. The man was unresponsive following the crash. Click here for additional information. 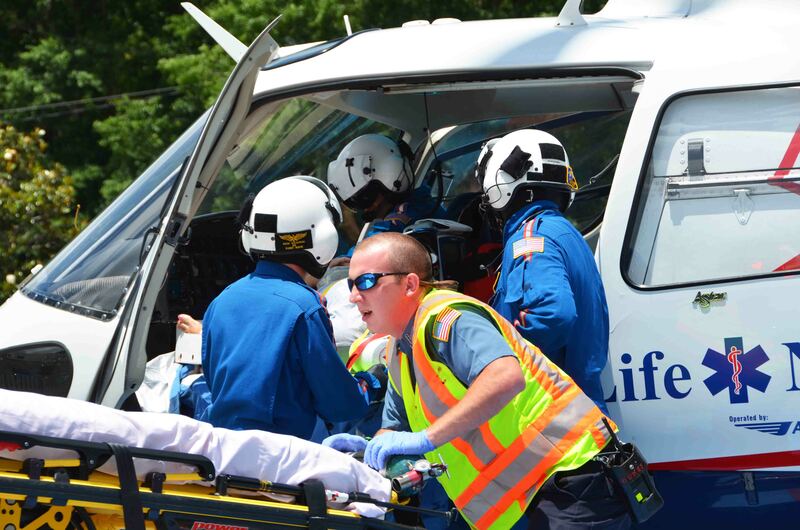 Three Philadelphia men fortunately survived a harrowing collision with a tractor trailer Thursday morning 23-May. The accident occurred at 07:58 on I-95 near the 44 mile marker southbound. 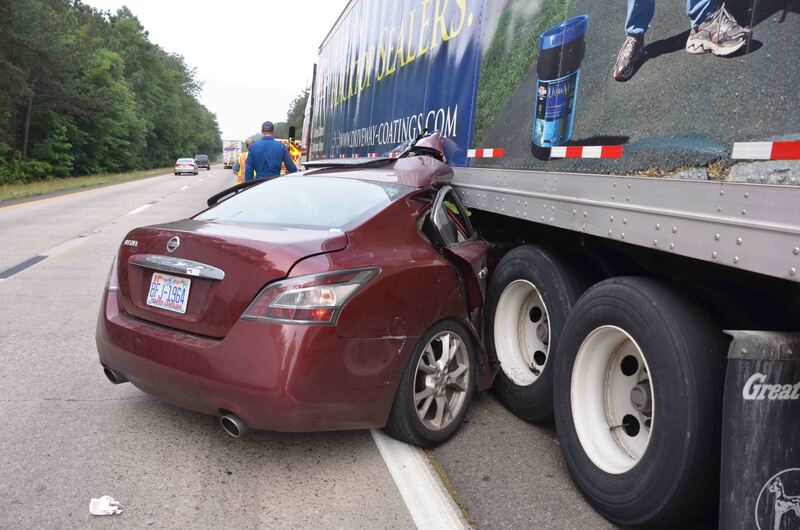 The three men were riding in a Nissan Maxima when the driver lost control, entered the median and overcorrected. As the car came back on the roadway it drove under the trailer... click here for additional information. 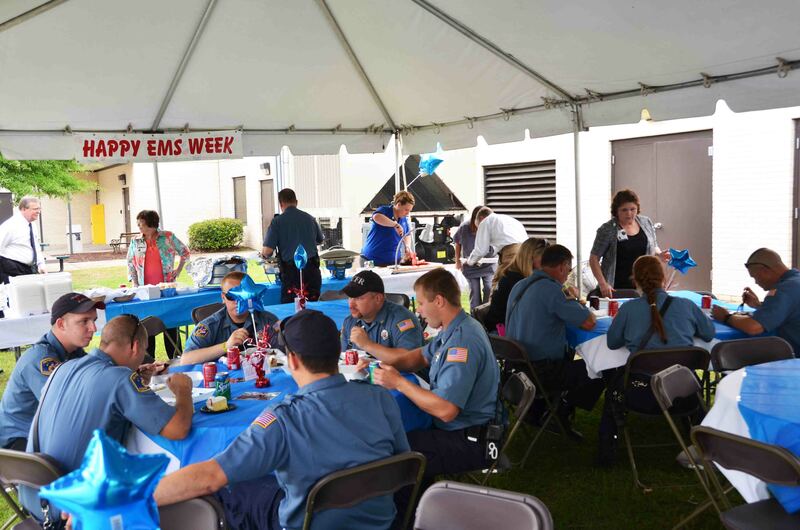 Colleton Medical Center and their staff provided a fantastic luncheon in honor of the Emergency Medical providers in conjunction with National EMS Week, Wednesday 22-May. Fire-Rescue, Lifenet, surrounding county EMS Departments, several private ambulance providers, Hospital Staff and Doctors attended. Click here for additional information. Click here to view information on the next blood drive being held in Berkeley County in honor of Firefighter/Paramedic Jordan Eaddy. 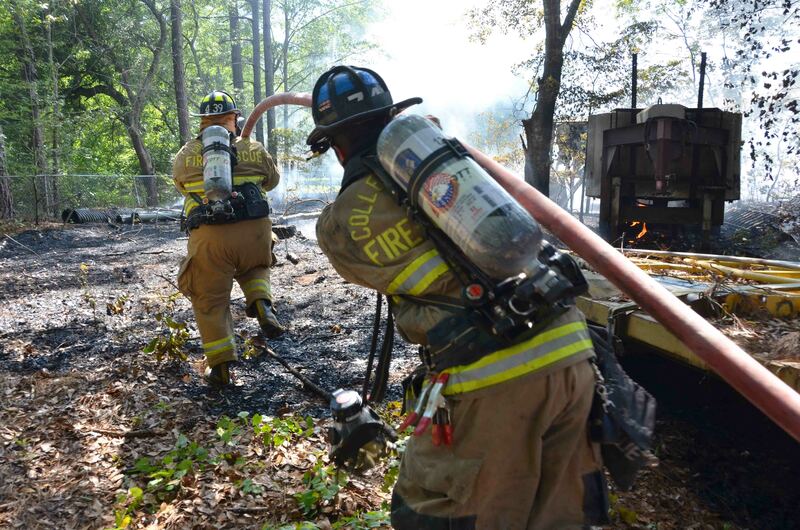 Click here to view memo from Battalion Chief Feather regarding 1153 - Firefighter I offerings. Click here to view memo from Deputy Chief Greene regarding changes to IST scheduling and water supply. An alert citizen contributed to saving a Green Park home Sunday morning 19-May. 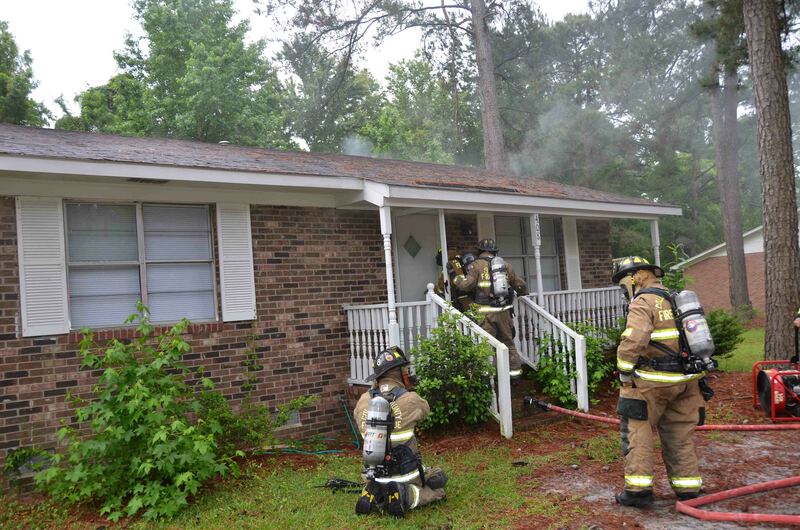 At 8:53 a passing motorist noticed smoke coming from a home at 408 Gadsden Loop and notified 9-1-1. Fire-Rescue units arrived minutes later to find light smoke coming from the eaves of the single story residential dwelling. Click here for additional information. We congratulate Firefighter-Paramedic Robert Norman and his wife Monica on the birth of their first child. Aiden Mansa Norman was born at the Charleston Birth Center Tuesday, 14-May at 23:53. Aiden weighed 7 pounds and 11 ounces. Both mom and son are doing fine. A Jacksonboro family lost their home in an early morning fire Wednesday, 15-May. Two men narrowly escaped the burning building when they were awakened by what they described as the loud sound like that of an explosion. One man jumped from a window to escape the flames. Firefighters arrived a short time later to find the home approximately 75% involved... click here for additional information. 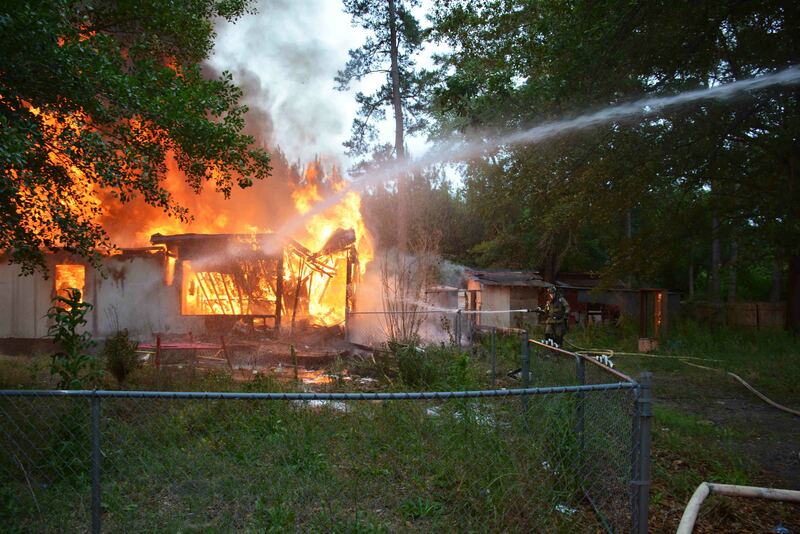 The body of an adult male was found inside a burned out home at 2657 Jones Swamp Road Wednesday afternoon 14-May. Fire-Rescue was dispatched to a reported house on fire at 13:04 after a passerby reported to 9-1-1 that she saw flames coming from the building. The home was reported to have been constructed in the late 1920s to early 1930s... click here for additional information. 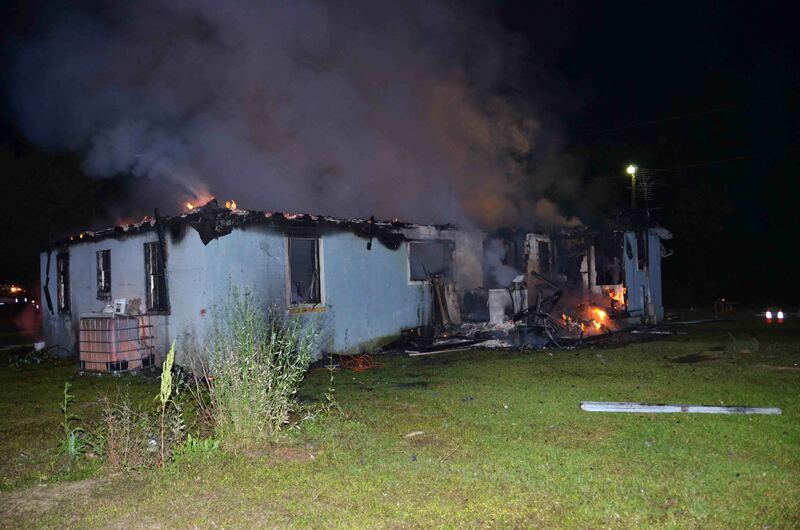 A double wide mobile home with several additions was heavily damaged in what is believed to have been an intentionally set fire Saturday evening 11-May. Fire-Rescue was notified of the incident at 18:54 reporting the residence located at 1328 Stokes Road had flames coming from the roof. Engine 26 arrived six minutes later to find the structure approximately 70% involved. Click here for additional information. 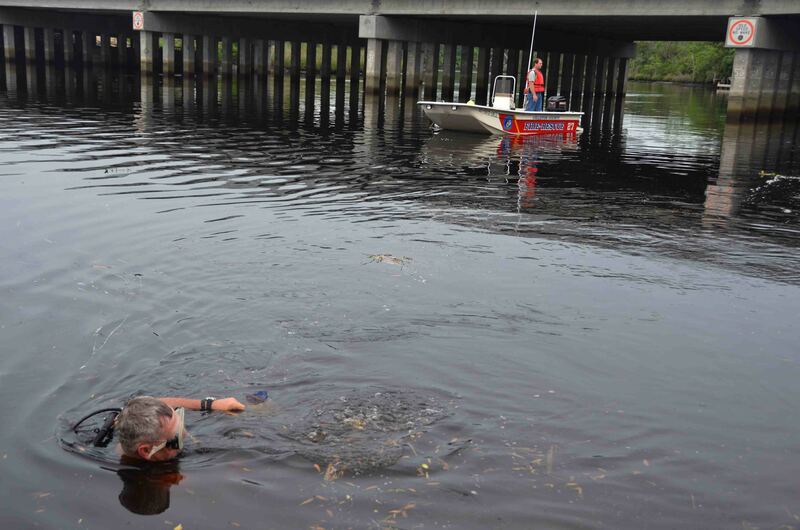 A 13 year old Beaufort County boy drown at Crosby’s Landing on the Ashepoo River Saturday afternoon 11-May. The rural landing in southern Colleton County, is located off of ACE Basin Parkway (US Hwy 17) at the intersection of Clover Hill Road just north of the Green Pond Community. Fire-Rescue was notified of the incident at 18:31 reporting the child had been missing for ten minutes. Click here for more information. Fire-Rescue operated the concessions stand and provided emergency medical coverage for Relay for Life again this year. All proceeds were donated to the organization to help fight cancer. Paula Jacques coordinated the event and was assisted by several firefighters and their families. Crews set up Friday morning to begin cooking burgers, hot dogs and fries to serve the crowds... click here for additional information. 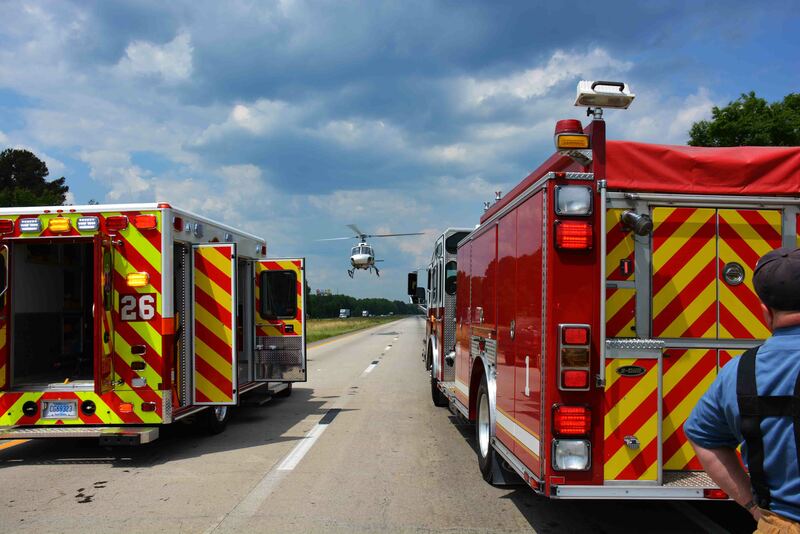 A single vehicle, high speed MVC on I-95 left a Florida woman with multiple traumatic injuries Friday afternoon 10-May. At 14:15, 9-1-1 operators began receiving multiple reports of the MVC which blocked both northbound lanes. A small Ford SUV was traveling southbound when it entered the median and began to flip over. Click here for additional information. 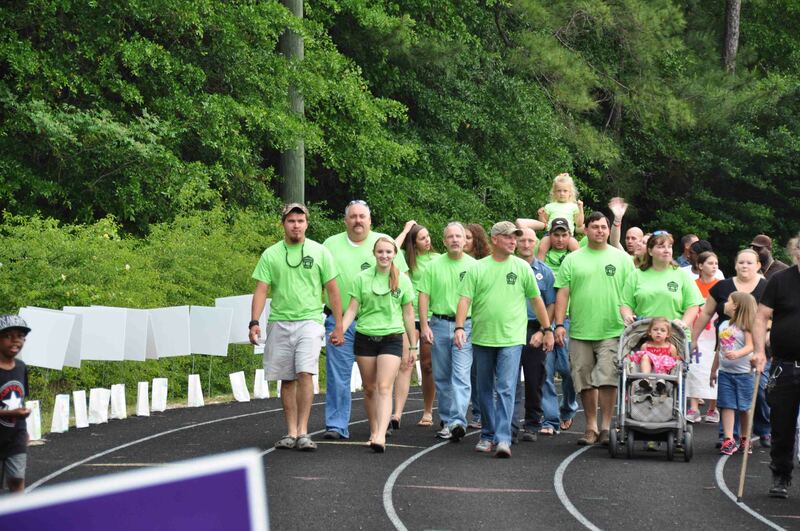 ServiceMaster of Charleston's 7th Annual Firefighter Appreciation Night will be on Wednesday , June 5, 2013 at Brittlebank Park in Charleston. Click here for additional information. 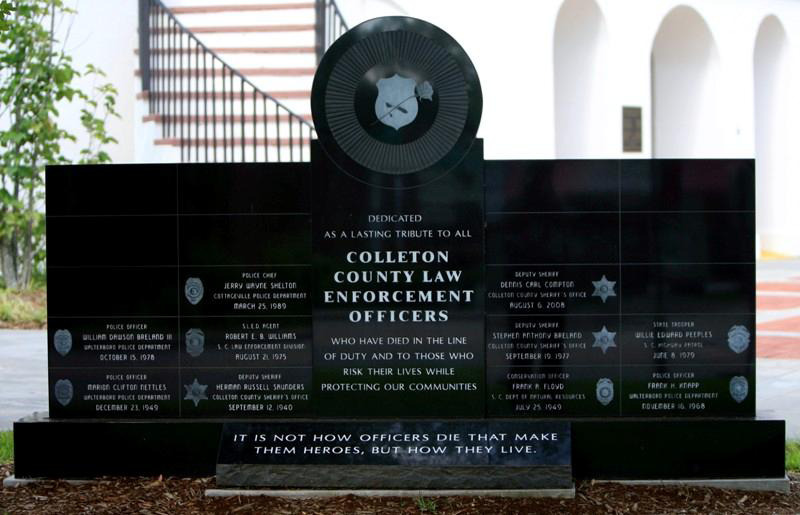 On May 2, 2013 at approximately 10:30 am., the Colleton County Sheriff’s Office, along with Law Enforcement Agencies within Colleton County, will present a brief service honoring the sacrifices local law enforcement officers have made while serving the citizens of Colleton County at the Colleton County Courthouse (101 Hampton Street, Walterboro, SC). Click here for additional information.